My trip to Turkey started out with an incredible flight. I know that isn’t what most people say about international flights, but mine was amazing. I flew Turkish Airlines, Business Class, direct to Istanbul from Los Angeles. The service is second-to-none, and being first on and first off the plane is a bonus. I was served a four-course dinner by the in-flight chef and had a seat that fully reclined so I could sleep comfortably. More than 12 hours later, I arrived well-rested and ready to experience Turkey. The first hotel I stayed at was in Istanbul, just outside the city center. The Surmeli Hotel is about 15 minutes from the Bosphorus, the strait that runs between Europe and Asia. 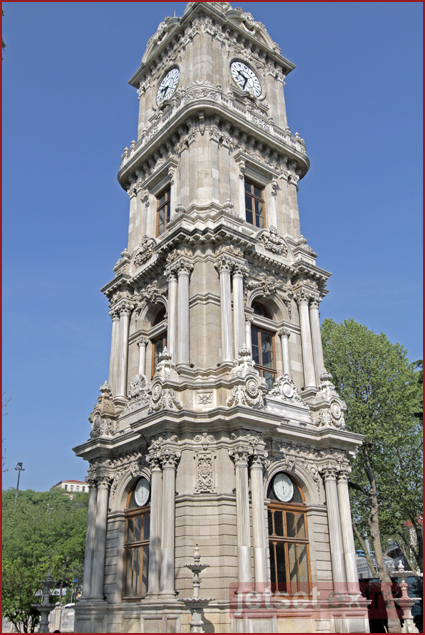 Along the coast of the Bosphorus I visited the Dolmabahçe Palace and Watchtower, the center of the 19th-century Ottoman Empire. My time there was short, so I did not tour the palace, but the exterior grounds were gorgeous, as was the view to Asia across the Bosphorus. I had tea with a few local city workers who were interested in my camera and me. They wanted to know where I was from, who I was, and what I was doing, and I explained that I was a US tourist. I learned they were a mother, father, and son who work for the city maintaining the flowers and gardens that make it so beautiful. That afternoon, I boarded my flight to Mardin in southeast Turkey. Yes, it is near Syria, and no, I did not feel scared at all. Knowing I was going to be so close to such war-torn places as Syria, Iran, and well, most of the Middle East, I expected the people to be not very engaging. All of my preconceived ideas about Turkey were thrown out the window when I landed, and really saw how warm and inviting the people and the region were. The countryside is vast, and full of amazing, hard-to-wrap-your-head-around history. There are Roman walls and ruins, small villages that date back to the 6th century, and everything in between. Among these ruins, with their immense historical importance, are the wonderful people who inhabit this region. We landed two hours later and it was as hot as my computer told me it was going to be. The dusty air hit my body and almost knocked me over. 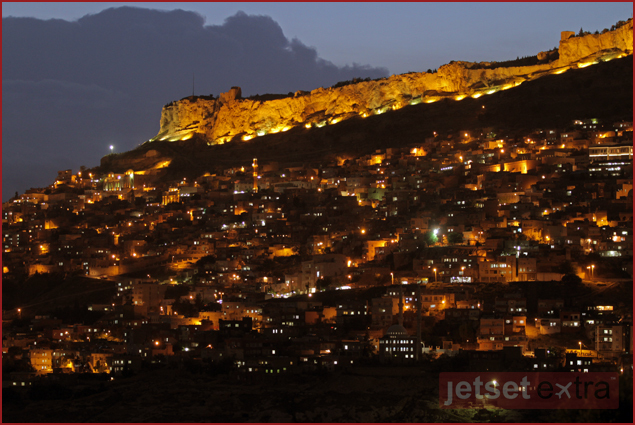 The air conditioning from the plane wore off, the heat settled into my body, and I found my spot on our bus to Mardin. The city dates back to the Neolithic Age and has been home to more than a dozen civilizations and multiple religions. Mardin is located on the historical Silk Road overlooking the Mesopotamian Plains, and on a clear day the view is stunning. 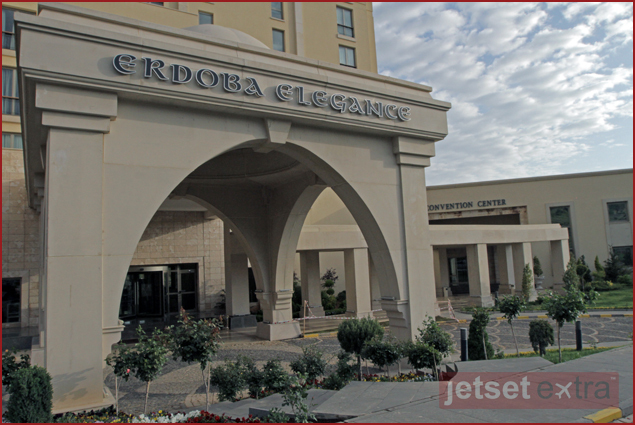 It was a short 20-minute drive to the hotel, Erdoba Elegance. Here in the middle of what seemed to be a place of low-rise buildings and rock quarries is the city’s first five-star hotel and conference center. It was beautiful inside, with bright colors and modern elegance. The hotel also has two restaurants, one casual and one fine-dining, both of which have great food. It was such a treat each morning to experience the regional cheeses and fruits offered at the breakfast buffet. The spa has an indoor pool, a great hamam, and treatment rooms for facials and massages. The staff is available for anything you may need and is extremely friendly. I went to dinner with Avanti Tourism Company at the Erdoba Evleri, the boutique hotel of the Erdoba Elegance. The governor of Mardin, Turhan Ayvaz, joined us for dinner, and we talked about how building additions and the telephone and power lines that now hang over the city have impacted the historical feel of Mardin. Governor Ayvaz has launched an initiative to return Mardin to a more authentic architectural feel. The city is refurbishing 760 original buildings by tearing down the concrete additions and returning each structure to its stone beginnings. When the project is completed and all the power and phone lines have been placed underground by 2015, they hope to get the city listed on the UNESCO World Heritage list and attract more tourism to the city. He told me how excited the people of Mardin are about the renovations and how they have already begun to see the benefits economically. I am excited to go back and see the finished product! I am sure it will be a real treat. 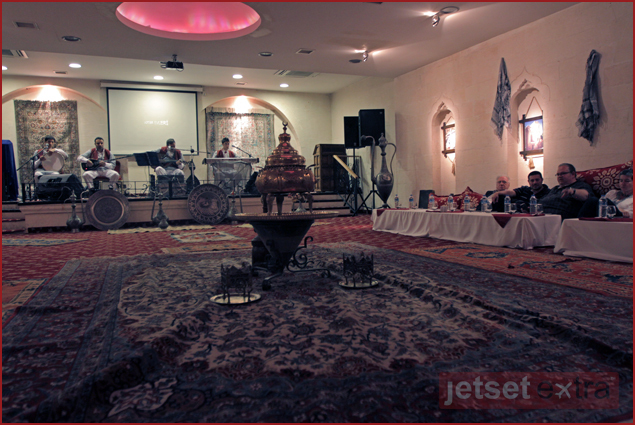 After dinner we went to a show at the Cercis Murat Konagi restaurant that featured a traditional Turkish wedding ceremony. Earlier in the evening, I was asked to play the part of the bride in the show, and I thought they were joking. THEY WERE SERIOUS. My faux-husband enjoyed every aspect of this experience. He was given a straight-razor shave, lifted onto the shoulders of the men, and paraded around the room. I was summoned to the back of the room, where a red veil was draped over my head and I was led out by the arms to my seat. I was a bit embarrassed as I too was paraded out in front of the crowd. Everyone was clapping to the music and dancing. I was seated to the left of my French soon-to-be husband. After the bride is presented and seated, the groom offers her gold. I was instructed to tell him that his initial offering of a gold bracelet wasn’t enough (really, does any woman think a bracelet is enough? ), then I was given two more pieces of gold jewelry. Apparently that was enough, because I was then swept out of my seat and pulled into a large celebratory circle, where the entire room was invited to come and dance the night away. It was hysterical and fun, and who knows – maybe when I visit France, my “husband” will be there to meet me. During my trip, I visited so many different ruins, monasteries, and churches that if I mention them all, you might get bored. I have included a list of the things that impressed me the most, and at the end of the article there is a list of all the sites you should see. 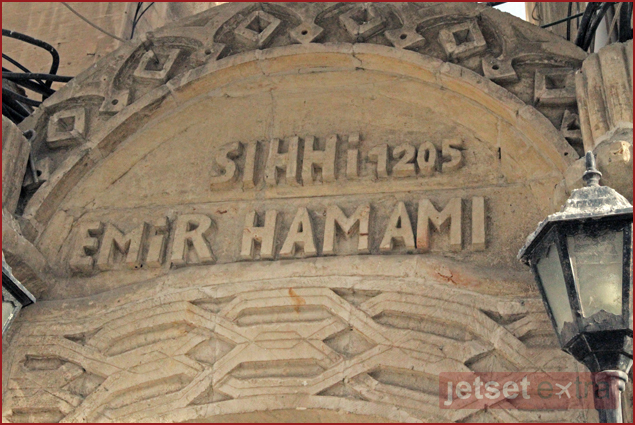 Emir Hamam, – The Emir Hamam is the oldest Turkish Bath in Mardin and dates back to 1290 AD. I had never had a Turkish bath before and was not sure what to expect. I walked into the hamam with another photographer from Holland. We had only known each other for two days, but were going to become very close, very fast. We were greeted by two women sitting at a desk, who gave us Cheshire-cat smiles, told us we could leave our cameras with them for safekeeping, and handed us some clean towels and cover ups. 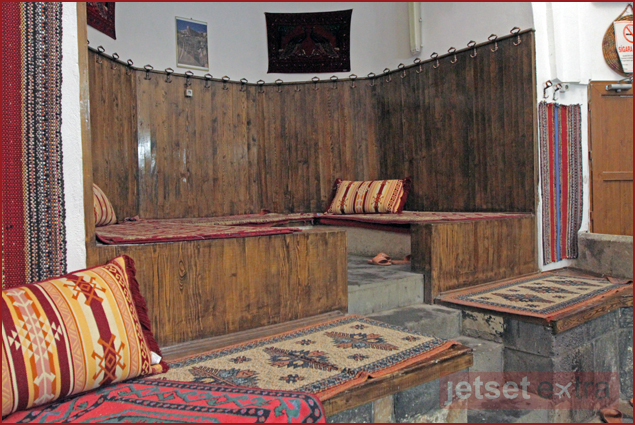 The original stone water fountain in the center of the room was surrounded by dark-wood sitting areas with Turkish rugs and pillows for relaxing after your bath. Once we had stripped down to our underwear and donned our cover-ups, we headed into the bath. The bath is a large marble room segmented into smaller bath areas that fit up to four people. This is a very “locals only” kind of place. There were mothers with small children and young women with their mothers and aunts. We were handed metal bowls and bars of white pistachio-oil soap and told to wash from head to toe. We were then motioned over to the large hexagon-shaped marble slab in the middle of the room. One at a time we lay on the slab and were scrubbed from neck to feet with an exfoliating cloth. It was a bit gross seeing the years of dead skin being sloughed off as the mostly naked Turkish woman smiled and nodded while pressing harder and harder to ensure that I didn’t have anything left on my body but smooth silky skin. Once the exfoliation/massage was over, we were instructed to get washed up again and head out to the relaxation room. It was certainly an experience I will never forget, and something I would most likely do again. The tension in my back and neck from days of hectic travel were magically melted away. 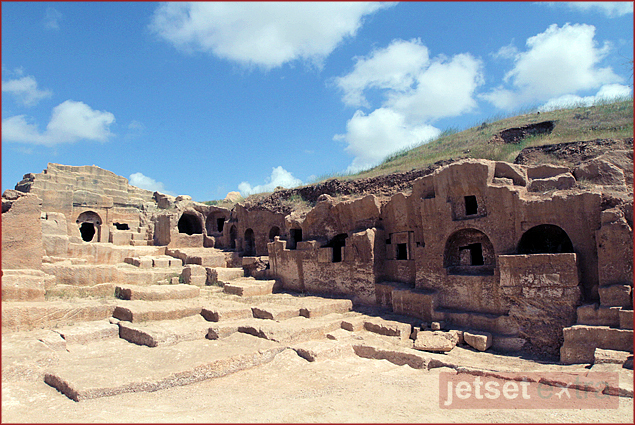 The Ancient City of Dara is a city carved out of rock in upper Mesopotamia. The Emperor Anastasius originally constructed the city to defend the Eastern Roman Empire in 505. As I walked around these ancient ruins photographing what little remained of this fortress, I tried to imagine how it must have looked with the Roman military abundant in the streets. The city of Dara was in constant battle from its inception to its demise. When the Romans were not ruling, another culture was fighting to make the people live under their rule. Finally in 958, the city was taken from the Byzantines. A church, some tombs, and small dwelling spaces are all that remain of this once-great fortress that so many fought to rule. 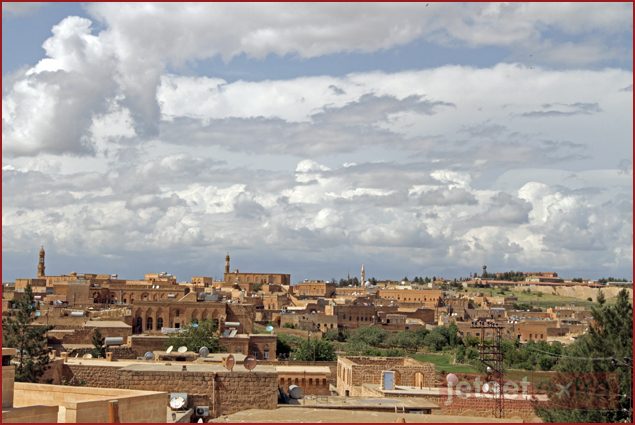 Midyat has been able to retain its old-world charm with winding cobblestone streets and delightful people. 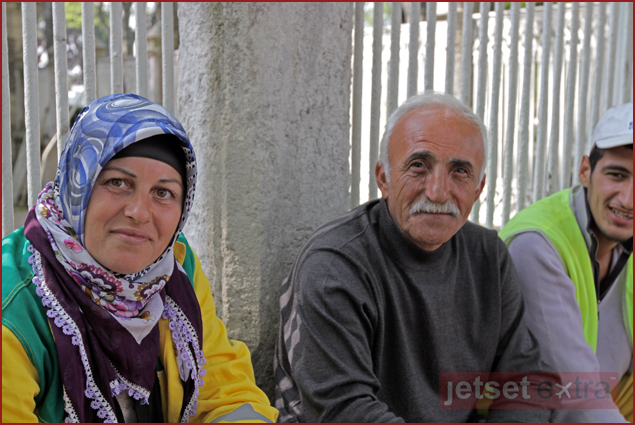 Their charm is not the only thing they have to offer – Midyat has a great hotel called Kasr-I Nehroz. The Kasr-I Nehroz was originally a private mansion owned by the Yenigün family for the last 260 years. The discreet exterior gives way to a hospitable ambiance and beautiful décor that makes you want to climb to the rooftop after a tasty lunch and lounge while taking in the views of the city. 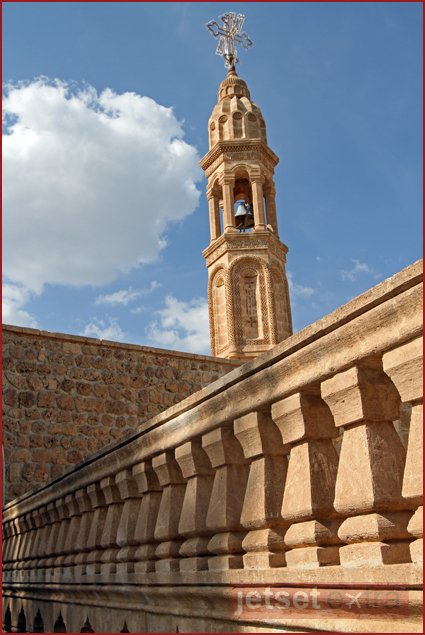 The Mor Gabriel Monastery, built in 397, is a short drive to Tur Abdin from Midyat. It has a massive footprint and is situated high up on the hilltop overlooking the Mesopotamian plains. Within the walls of the monastery are the tombs of monks, a gorgeous church, and the monks and nuns who still run the monastery. If you’re so inclined, you can ask for permission to stay as a guest and really soak in the culture and history. I strongly recommend a visit to Turkey. Stay a couple of days in Istanbul, then hop a short flight to Mardin and spend a few more days exploring, learning, and getting to know some of the fantastic people of the region. I will certainly make another journey to see all the things I am sure I missed the first time. Here is my list of the things I didn’t mention but are worth seeing. I highly recommend these places if you are looking to experience the flavor and culture of the region. Special thanks to the Turkish Ministry of Culture and Tourism for providing such an incredibly enlightening and educational trip.